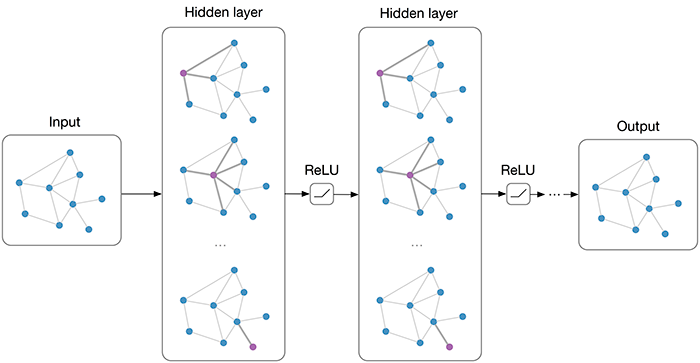 PyTorch implementation of Graph Convolutional Networks (GCNs) for semi-supervised classification . Note: There are subtle differences between the TensorFlow implementation in https://github.com/tkipf/gcn and this PyTorch re-implementation. This re-implementation serves as a proof of concept and is not intended for reproduction of the results reported in . This implementation makes use of the Cora dataset from .